A collection of motorcycle related links that we hope will be of interest. Gordon May's journey to India! The Official Royal Enfield India site. Check out Lone Wolf and his Royal Enfield! Nice old Royal Enfield adverts! Have a look at the Monster Dog! Want a belt drive racing clutch? North Northants and South Leicestershire Branch : Royal Enfield Owners Club. 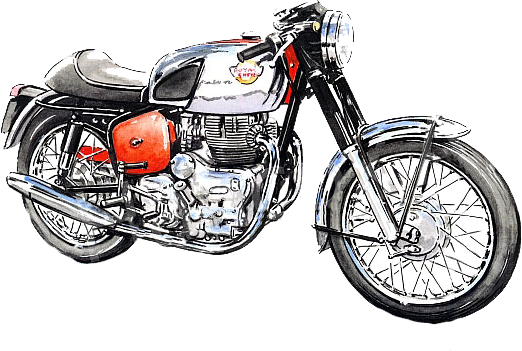 PricePart Motorcycles, Reconditioned Royal Enfield motorcycles and diesel conversions. NJB Shocks ltd. Shocks for all classic bikes. Venture on Wheels, Indian motorcycle tour operator. A selection of free motorcycle service manuals. Midland Vapour Blasting Independent business at competitive prices.